Green-tech has a dedicated sale team who deal with business accounts. If you would like to apply for a trade business account with Green-tech please call 01423 332100 to discuss the options available to your business with Green-tech. 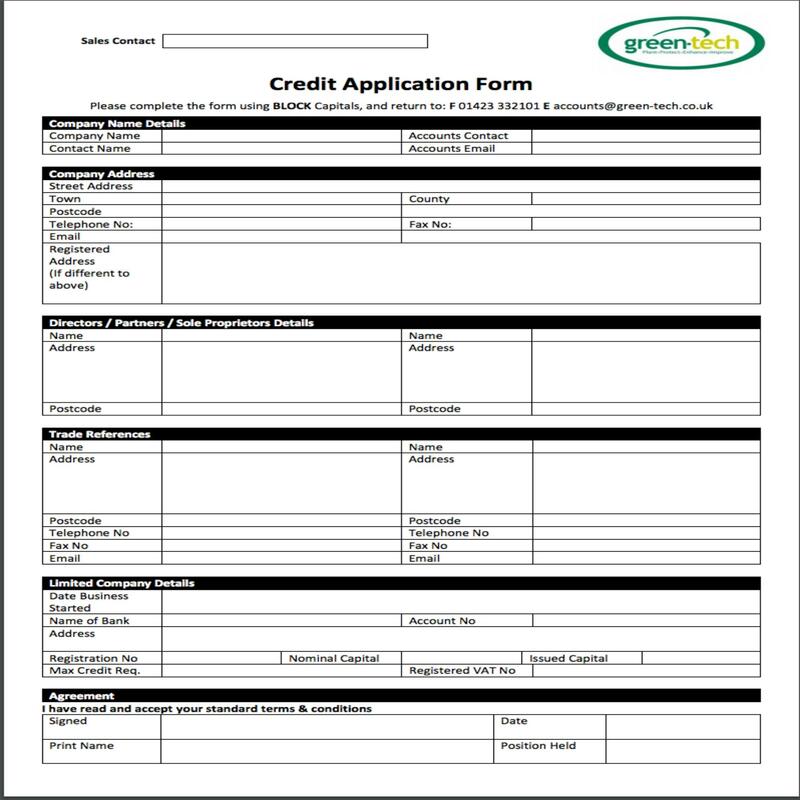 To apply for an account with credit or to request credit for an established account already set up with Green-tech, please download Green-tech's latest credit application form. Your application will be reviewed by our accounts department and you will back from them once all checks have been undertaken.